This page summarizes research on the benefits of mindfulness, including neuroscience, the latest scientific studies, and specific benefits for educators and students. We also describe research studies on the Mindful Schools curriculum and benefits our course graduates have seen in themselves and the students they serve. You can stay up to date on highlights of the latest research relating to mindfulness in education by liking our Facebook page. You can also sign up for our monthly newsletter, which contains summaries of research, articles on personal practice, news and information on our courses. Scholarly research finds that mindfulness practice decreases stress and anxiety, increases attention, improves interpersonal relationships, strengthens compassion, and confers a host of other benefits. Aroused when detecting and reacting to emotions, especially difficult or strong emotions such as fear. This part of the brain is less activated10 and has less gray matter density11 following mindfulness training. Critical to learning and memory, and helps regulate the amygdala. This part of the brain is more active12 and has more gray matter density13 following mindfulness training. 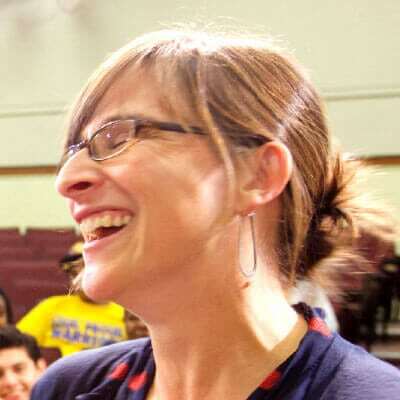 When teachers learn mindfulness, they not only reap personal benefits such as reduced stress and burnout15 but their schools do as well. In randomized controlled trials, teachers who learned mindfulness reported greater efficacy in doing their jobs16 and had more emotionally supportive classrooms17 and better classroom organization18 based on independent observations. Mindful Schools collects two types of survey data. Each year, we conduct an Annual Graduate Survey to learn more about the impact our graduates are having, how our courses have affected them, and how we can serve them better. We also conduct pre and post surveys each time we teach a course in order to test for significant improvements on validated measures. The infographics below summarize the results from these two types of surveys from participants who have taken our Mindfulness Fundamentals and Mindful Educator Essentials courses. The researchers concluded that the results “show promise for the use of mindfulness to decrease particularly depressive symptoms in minority children. In addition, there is evidence that a larger sample size might enable distinction between the groups for anxiety symptoms.” They also praised the Mindful Schools curriculum, noting that children “engaged completely in the activities” of the curriculum. 1 Chiesa, A., & Serretti, A. (2009). Mindfulness-based stress reduction for stress management in healthy people: a review and meta-analysis. The Journal of Alternative and Complementary Medicine, 15(5), 593–600. 2 Jha, A. P., Krompinger, J., & Baime, M. J. (2007). Mindfulness training modifies subsystems of attention. Cognitive, Affective, & Behavioral Neuroscience, 7(2), 109–119. 3 Roemer, L., Williston, S. K., & Rollins, L. G. (2015). Mindfulness and emotion regulation. Current Opinion in Psychology, 3, 52–57. 4 Goldin, P. R., & Gross, J. J. (2010). Effects of mindfulness-­based stress reduction (MBSR) on emotion regulation in social anxiety disorder. Emotion, 10(1), 83. 5 Ortner, C. N., Kilner, S. J., & Zelazo, P. D. (2007). Mindfulness meditation and reduced emotional interference on a cognitive task. Motivation and Emotion, 31(4), 271–283. 6 Condon, P., Desbordes, G., Miller, W. B., & DeSteno, D. (2013). Meditation increases compassionate responses to suffering. Psychological Science, 24(10), 2125–2127. 7 Birnie, K., Speca, M., & Carlson, L. E. (2010). Exploring self-­compassion and empathy in the context of mindfulness-­based stress reduction (MBSR). Stress and Health, 26(5), 359–371. 8 Chiesa, A., & Serretti, A. (2009). Mindfulness-­based stress reduction for stress management in healthy people: a review and meta-­analysis. The Journal of Alternative and Complementary Medicine, 15(5), 593–600. 9 Hoge, E. A., Bui, E., Marques, L., Metcalf, C. A., Morris, L. K., Robinaugh, D. J., … Simon, N. M. (2013). Randomized Controlled Trial of Mindfulness Meditation for Generalized Anxiety Disorder: Effects on Anxiety and Stress Reactivity. The Journal of Clinical Psychiatry, 74(8), 786–792. 10 Lutz, A., Slagter, H. A., Dunne, J. D., & Davidson, R. J. (2008). Attention regulation and monitoring in meditation. Trends in Cognitive Sciences, 12(4), 163–169. 11 Hölzel, B. K., Carmody, J., Evans, K. C., Hoge, E. A., Dusek, J. A., Morgan, L., … Lazar, S. W. (2010). 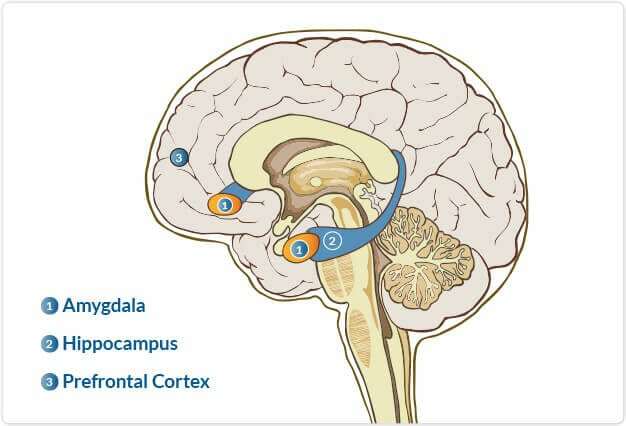 Stress reduction correlates with structural changes in the amygdala. Social Cognitive and Affective Neuroscience, 5(1), 11–17. 12 Goldin, P. R., & Gross, J. J. (2010). Effects of mindfulness-­based stress reduction (MBSR) on emotion regulation in social anxiety disorder. Emotion, 10(1), 83. 13 Hölzel, B. K., Carmody, J., Vangel, M., Congleton, C., Yerramsetti, S. M., Gard, T., & Lazar, S. W. (2011). Mindfulness practice leads to increases in regional brain gray matter density. Psychiatry Research: Neuroimaging, 191(1), 36–43. 14 Chiesa, A., & Serretti, A. (2010). A systematic review of neurobiological and clinical features of mindfulness meditations. Psychological Medicine, 40(08), 1239–1252. 15 Flook, L., Goldberg, S. B., Pinger, L., Bonus, K., & Davidson, R. J. (2013). Mindfulness for teachers: A pilot study to assess effects on stress, burnout, and teaching efficacy. Mind, Brain, and Education, 7(3), 182–195. 16 Jennings, P. A., Frank, J. L., Snowberg, K. E., Coccia, M. A., & Greenberg, M. T. (2013). Improving Classroom Learning Environments by Cultivating Awareness and Resilience in Education (CARE): Results of a Randomized Controlled Trial. School Psychology Quarterly, 28(4), 374–390. 17 Jennings, P. A., Brown, J. L., Frank, J. L., Doyle, S. L., Tanler, R., Rasheed, D., DeWeese, A., DeMauro, A., & Greenberg, M. T. (2015). Promoting teachers’ social and emotional competence, well-being and classroom quality: a randomized controlled trial of the CARE for Teachers Professional Development Program. In C. Bradshaw (Ed. ), Examining the impact of school-based prevention programs on teachers: findings from three randomized trials. Washington D.C: Symposium presented at the Society for Prevention Research Annual Meeting. (Submitted for Initial Review). 18 Flook, L., Goldberg, S. B., Pinger, L., Bonus, K., & Davidson, R. J. (2013). Mindfulness for teachers: A pilot study to assess effects on stress, burnout, and teaching efficacy. Mind, Brain, and Education, 7(3), 182–195. 19 Jones, D. E., Greenberg, M., & Crowley, M. (2015). Early Social-­Emotional Functioning and Public Health: The Relationship Between Kindergarten Social Competence and Future Wellness. American Journal of Public Health, 105(11), 2283–2290. 20 Baijal, S., Jha, A. P., Kiyonaga, A., Singh, R., & Srinivasan, N. (2011). The influence of concentrative meditation training on the development of attention networks during early adolescence. Frontiers in Psychology, 2, 1-9. 21 Schonert-Reichl, K. A., Oberle, E., Lawlor, M. S., Abbott, D., Thomson, K., Oberlander, T. F., & Diamond, A. (2015). 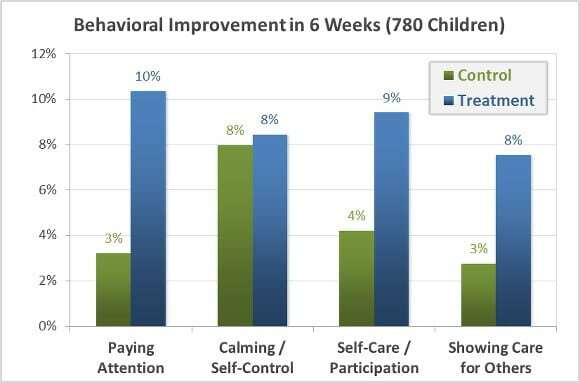 Enhancing cognitive and social–emotional development through a simple-to-administer mindfulness-based school program for elementary school children: A randomized controlled trial. Developmental Psychology, 51(1), 52-66. 22 Metz, S. M., Frank, J. L., Reibel, D., Cantrell, T., Sanders, R., & Broderick, P. C. (2013). The effectiveness of the learning to BREATHE program on adolescent emotion regulation. Research in Human Development, 10(3), 252–272. 23 Barnes, V. A., Bauza, L. B., & Treiber, F. A. (2003). Impact of stress reduction on negative school behavior in adolescents. Health and Quality of Life Outcomes, 1(10), 1–7. 24 Schonert-Reichl, K. A., Oberle, E., Lawlor, M. S., Abbott, D., Thomson, K., Oberlander, T. F., & Diamond, A. (2015). Enhancing cognitive and social–emotional development through a simple-to-administer mindfulness-based school program for elementary school children: A randomized controlled trial. Developmental Psychology, 51(1), 52-66. 25 Napoli, M., Krech, P. R., & Holley, L. C. (2005). Mindfulness Training for Elementary School Students. Journal of Applied School Psychology, 21(1), 99–125. 26 Napoli, M., Krech, P. R., & Holley, L. C. (2005). Mindfulness Training for Elementary School Students. Journal of Applied School Psychology, 21(1), 99–125. 27 Barnes, V. A., Davis, H. C., Murzynowski, J. B., & Treiber, F. A. (2004). Impact of meditation on resting and ambulatory blood pressure and heart rate in youth. Psychosomatic Medicine, 66(6), 909-914. 28 Sibinga, E. M. S., Webb, L., Ghazarian, S. R., & Ellen, J. M. (2016). School-­Based Mindfulness Instruction: An RCT. Pediatrics, 137(1), 1-­8. 29 Raes, F., Griffith, J. W., Van der Gucht, K., & Williams, J. M. G. (2014). School-­based prevention and reduction of depression in adolescents: A cluster-­randomized controlled trial of a mindfulness group program. Mindfulness, 5(5), 477–486. 30 Recommendation rates from post-course surveys in fiscal year 2016 (i.e., July 2015-June 2016). 31 Teacher Self-Efficacy Scale (TSES: Tschannen-Moran & Hoy, 2001), Cohen’s d effect size = 0.24. Tschannen-Moran, M., & Hoy, A. W. (2001). Teacher efficacy: Capturing an elusive construct. Teaching and Teacher Education, 17(7), 783–805. 32 Perceived Stress Scale (PSS: Cohen et al., 1983), Cohen’s d effect size = 0.34. Cohen, S., Kamarck, T., & Mermelstein, R. (1983). A global measure of perceived stress. Journal of Health and Social Behavior, 385–396. 33 Self-Compassion Scale – Short Form (SCS-short: Raes et al., 2011), Cohen’s d effect size = 0.38. Raes, F., Pommier, E., Neff, K. D., & Van Gucht, D. (2011). Construction and factorial validation of a short form of the self-compassion scale. Clinical Psychology & Psychotherapy, 18(3), 250–255. 35 Perceived Stress Scale (PSS: Cohen et al., 1983), Cohen’s d effect size = .65. 36 Self-Compassion Scale – Short Form (SCS-short: Raes et al., 2011), Cohen’s d effect size = .53. 37 Liehr, P., & Diaz, N. (2010). A Pilot Study Examining the Effect of Mindfulness on Depression and Anxiety for Minority Children. Archives of Psychiatric Nursing, 24(1), 69–71.